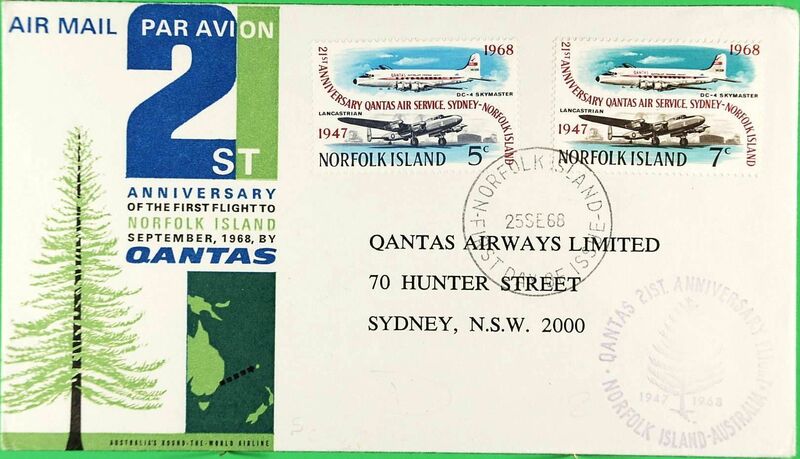 Qantas Lancastrian F/F Norfolk Island to Australia, bs Sydney 15/10, brown/lime green vignette, signed by pilot Capt L R Ambrose. 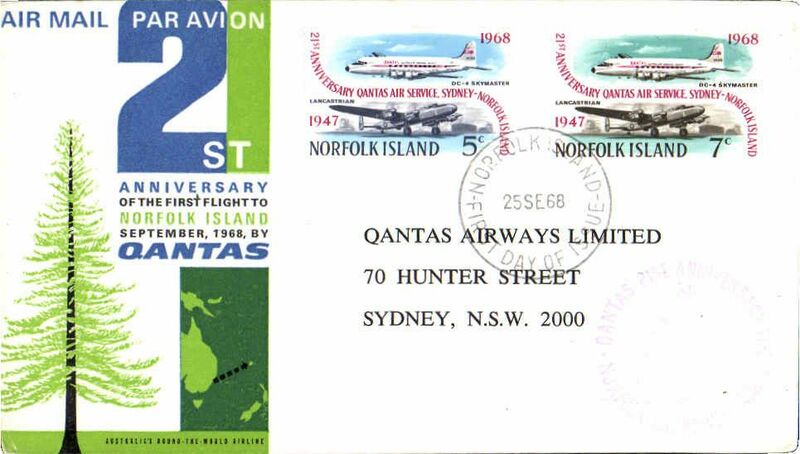 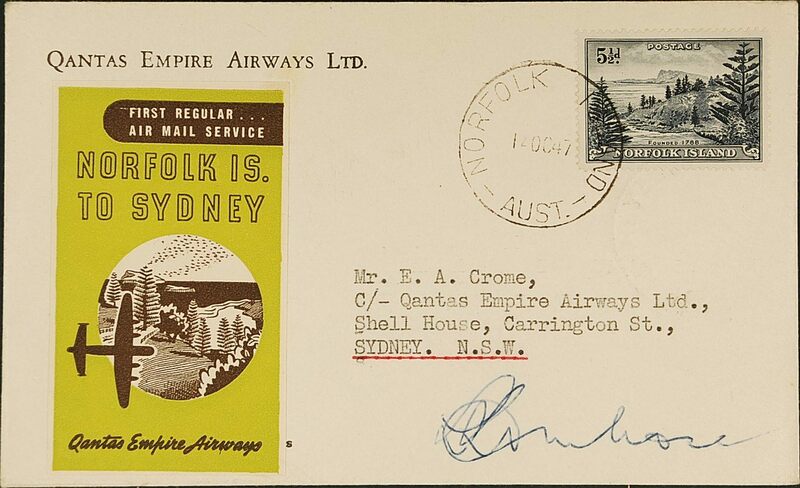 Norfolk Is to Sydney, b/s, 21st anniversary Qantas souvenir cover franked FDI 7c and 5c commem. 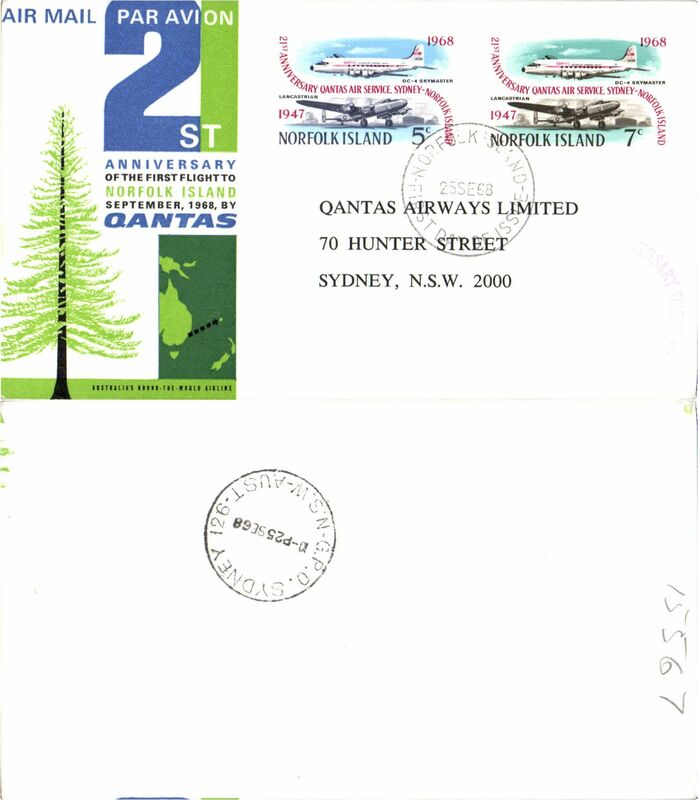 air stamps, Qantas.